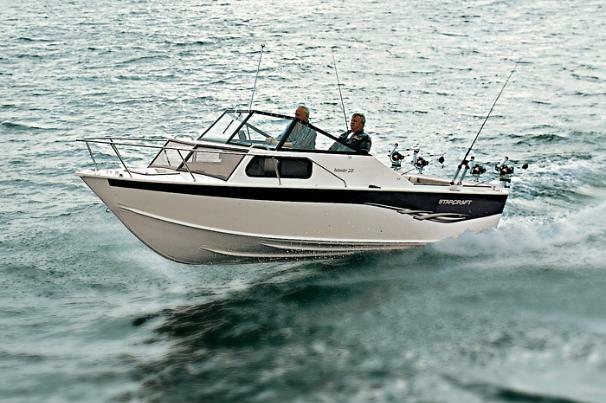 Boat Description The Starcraft Islander 221 is a rugged V-hull equipped with everything fishermen need to take on the rough waters of Great Lakes fishing. For added safety and durability there`s a deep cockpit, as well as rack and pinion steering and double riveted chine and transom seams. For serious fishing trips the Islander has a roomy cuddy cabin. Deadrise at Transom 18 deg.